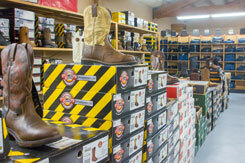 Whether you are looking for cowboy boots for work, play or as casual wear, we have them all. 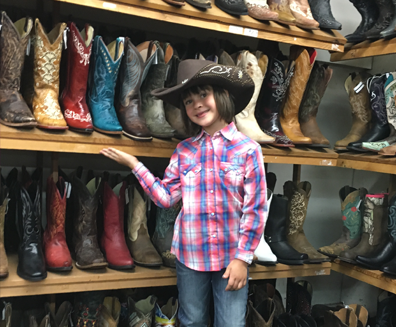 You can choose cowboy boots for yourself and your son while your wife and daughter choose from the vast collection of cowgirl boots. Our cowgirl boots will certainly make you the center of attention as everybody will want to know where in the world you got your boots. Our cowboy boots and cowgirl boots are unique. In order to be your stop for western wear, we purchase only from the top companies and manufacturers assuring you will buy only high-quality products. We are proud of our customer base. Read the reviews about our products, prices and our services from the customers that we have served in the past. They tell it like it is! If you need a new pair of cowboy boots or just want to add to your collection come into Country Square Western Wear today and look at the incredible selection of boots in the Dash Point area. Or call us at t 253-220-7674 and we will answer all your questions.